It was almost exactly three years ago that I recorded my debut album Awake Again, which much to my delight and surprise reached #15 on the Folk DJ chart in January 2017. 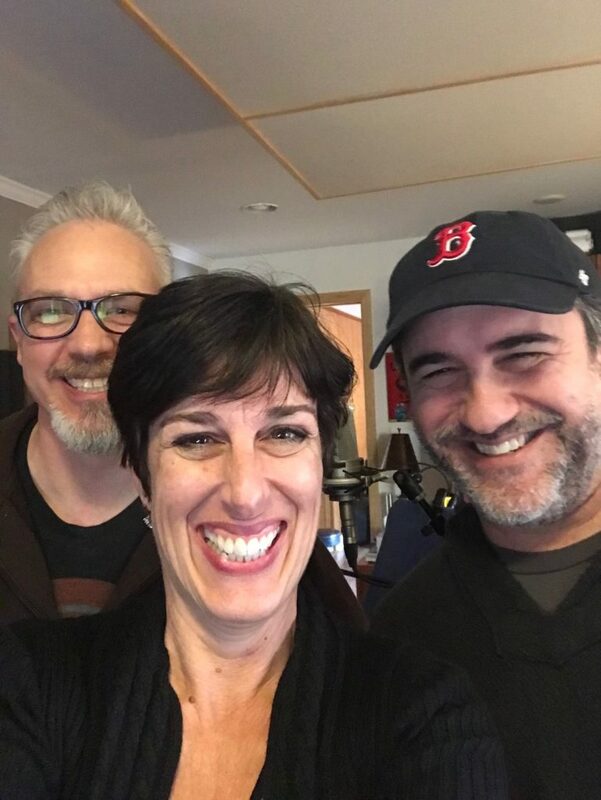 Last week I was back in the studio with FJ Ventre and Jon Shain, the same dynamic duo that recorded and produced that first album. This new project features nine original songs, some written just after that first release, and some very recent. I can hardly express the joy I felt in the studio, and immediately following — I was on quite an emotional high! A lot has happened in the last three years, and all those experiences added up to more comfortable and confident recording sessions. I’m very fortunate to have several talented friends and my dear sister contributing to this album — Barry Gray, Leah Kaufman, and Laurelyn Dossett lent their beautiful voices, and my sister added her expressive and lovely violin. I wish I had more photos to share — I was so engrossed in what was happening in the studio I completely forgot to take them! A few more talented instrumentalists (including FJ on bass) will add their touches before we head into the mixing phase. If all goes according to plan, the album will be released in early spring. 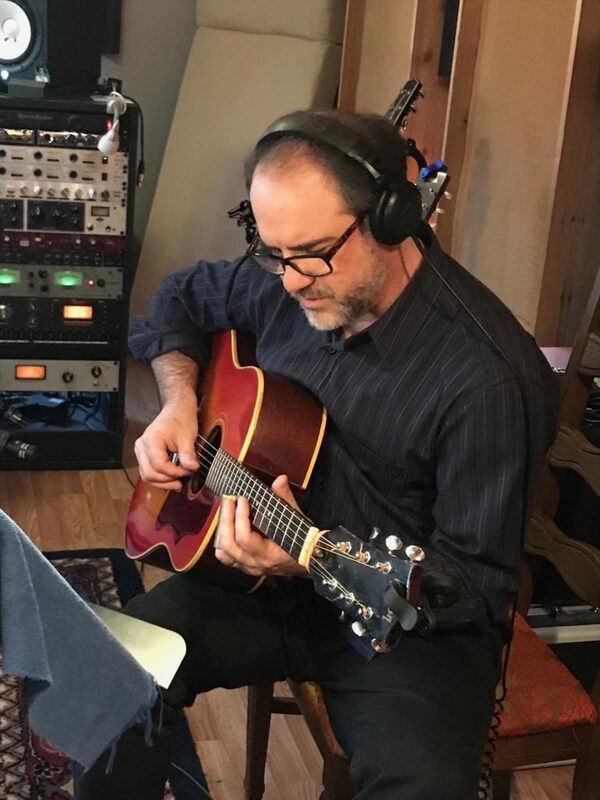 Here’s a peek at one of the songs on the album, “Midnight Prayer,” with Jon Shain on the cuatro. Thanks to Kevin Keister for the video! 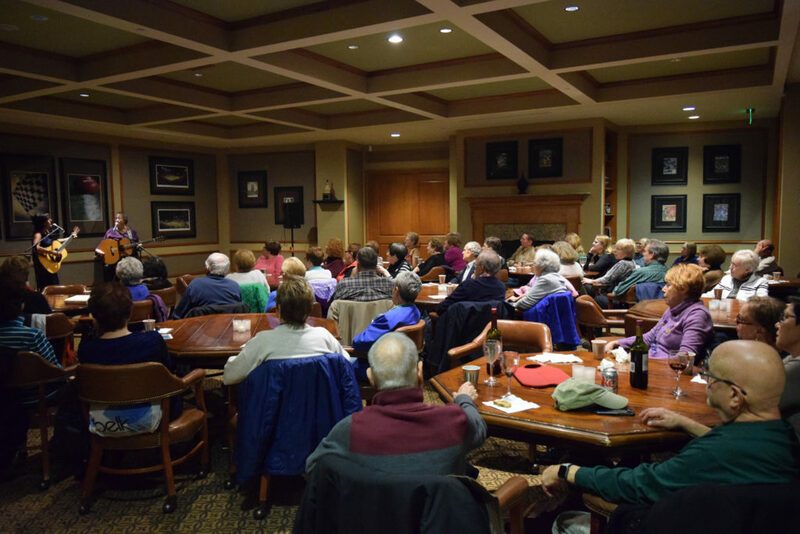 Thank you, Stillwaters Supper & Songs! 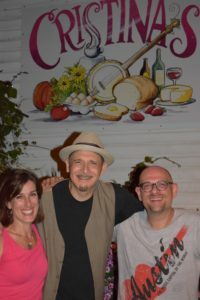 Many thanks to Mary Shapiro and Jeff Wolf at Stillwaters Supper and Songs in Marshall, Virginia for having me perform at their beautiful home on September 1 — the outdoor covered stage setup was exceptional. Mary and Jeff were the consummate hosts. Jeff did a beautiful job with the sound — his attention to detail put me blissfully at ease. 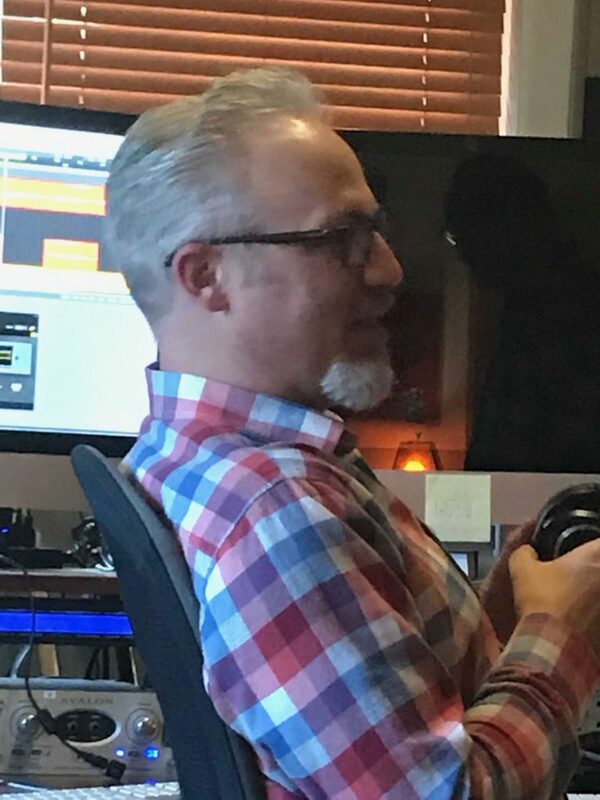 (Jeff recorded the concert, so a live CD may be in the works!) His drum accompaniment on several of my songs was the perfect touch — and unrehearsed! Mary took care of promotion with her warmth and heartfelt commitment to building their community though music. If you have an opportunity to go to one of their shows, I hope you will. My experience as a performer was possibly the best I’ve ever had. I had an opportunity to meet almost everyone in the audience before the show started, during the potluck supper beforehand. During the break and after the show, so many came up to me to express their connection to my songs, buy my CD, and share their gratitude for my being there. I felt so welcome, so validated, and so encouraged to keep doing what I love. I plan to book more house concerts in 2019, and am more than happy to travel — if you or someone you know is interested in hosting, please let me know. Now, I’m ready for 2018! Check my dates page for upcoming gigs, both solo and with Leah Kaufman. Next up is a songwriter showcase at Summit Coffee in Davidson, NC hosted by Rob McHale. Am really looking forward to having Barry Gray (of local GrayMatter fame) join me and Leah at The Roost in May! Also in May is my fourth Southeast Regional Folk Alliance conference, always a joy! Leah and I will be sharing our songs there at some of the “unofficial” showcases, palling around with other musicians, and learning a ton along the way. Hope the start of this year has been good to you and yours. See you soon! Last August, I met Leah Kaufman at Danny Gotham‘s Pick-n-bow folk music retreat weekend in Durham, NC. 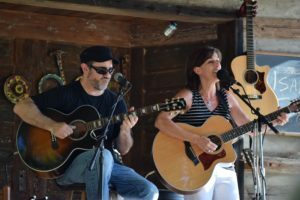 We quickly developed a mutual admiration for each others’ songs, and shortly after, began “working” together – getting together to play, share song ideas, and discuss music in general. Leah has been writing much longer than I have — she released her Five Fingers album in 1999, at a time when she’d been performing frequently with a band. 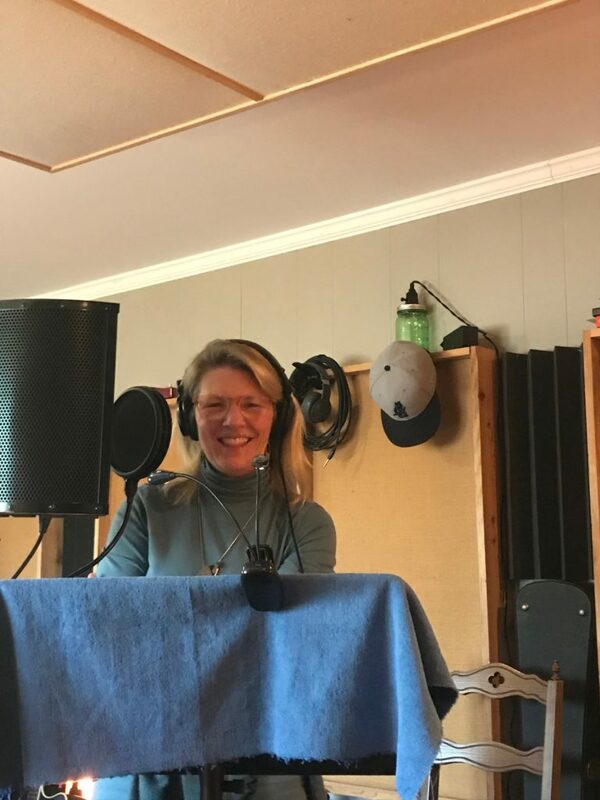 After a hiatus, she’s back at it, not only writing but releasing another CD later this year, produced and engineered by the same team I worked with on mine: Jon Shain and FJ Ventre. You’ll hear me on backing vocals, which were pure joy to sing. The CD is flush with talent on a wide variety of instruments — I can’t wait to hear it! Leah’s songs are sweet, smart, and funny. She can play (guitar and uke!). She can harmonize. She’s a joy to be around. We started performing together recently and have a lot of gigs coming up. We encourage each other to sing better, play better, and perform better. We plan on doing some co-writing, too. If you come out to see us, I think you’ll experience the joy, too. The headline says it all! I’m thrilled that my album is doing so well on folk radio. Yes, there are hundreds of folk radio stations out there, folks! 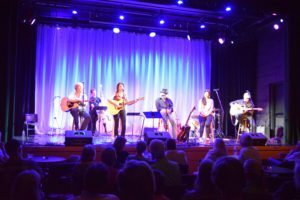 From small towns to big cities, in the U.S. and abroad, folk and other acoustic music is alive and well on Internet stations, local public radio, and college stations. I’m very grateful to all the DJs who have played songs from the CD; almost every track has been played! 2017 is off to a great start (musically speaking!). For the third year in a row, I recently attended Danny Gotham‘s Great Guitar Camp, two days of workshops aimed at honing guitar skills. Entire worlds are opening up to me with what I’ve learned at these events. Contact Danny if you’re interested! I’m looking forward to all my performance opportunities this year. I’ll be playing in some new venues, including a house concert opening for Jon Shain, and I’ll be back in Baltimore at An Die Musik in the fall. Check my schedule and subscribe to my mailing list to keep up with the latest! Since the release of Awake Again, I’ve had several wonderful opportunities to share my songs. 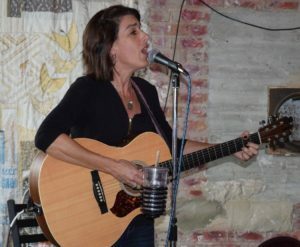 In July, I opened for Jon Shain, Molly McGinn and Sam Frazier at Doodad Farm in Greensboro, and in August I went on a very fun mini-tour in Virginia and Maryland with Tokyo Rosenthal and Michael Daughtry. September was busy, with a performance at a Pinnacle View private event, sharing the Cary Theater stage with NC songwriters Wyatt Easterling, Kirk Ridge, Rebekah Todd, and Dean Driver, and playing for a great crowd at Steel String Brewery for the Carrboro Music Festival. As I follow my heart — the heart of the little girl who always loved to sing — I continue to be grateful and amazed at the support of friends, fans, and fellow musicians. Singing brings me a lot of joy — thanks for listening and letting me share my joy with you! The next couple of months will be less busy, by design. I like to focus on my family and friends during the holiday season, and I’m also making time to do more songwriting. I have just a couple of performances before the New Year arrives, and am working on 2017 bookings. Please subscribe to my mailing list if you’re interested in getting updates. Remember: music heals! ‘Awake Again’ is now available! Isabel’s debut CD Awake Again is now available through CD Baby! You can order a physical or digital copy of the CD. 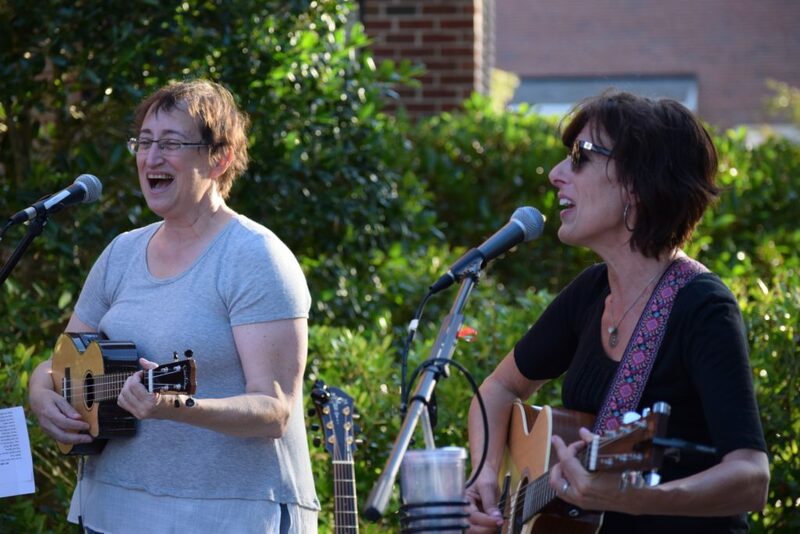 The CD release party on June 11 was a huge success! 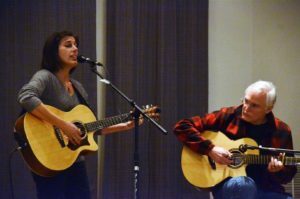 Playing to a standing room only crowd, Isabel was joined by producer and guitarist Jon Shain, sound engineer and bassist FJ Ventre, Ed Butler (drums), Lynn Blakey (backing vocals), Tim Stambaugh (banjo and dobro) and Kaye Saunders (piano). The party included a debut of a video for ‘Take Me Flying,’ produced by Parker Bruer. 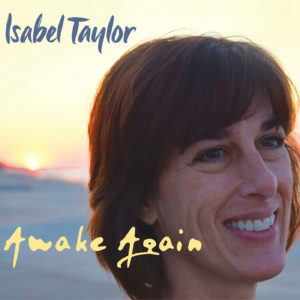 A show to celebrate the release of Isabel Taylor’s debut CD Awake Again will be held at The Trails community clubhouse, 8920 Coachway (off of Dodson’s Crossroads) in Chapel Hill on Saturday, June 11 at 8pm. Produced by award-winning songwriter and guitarist Jon Shain and engineered by FJ Ventre (longtime Shain collaborator and bassist for the Swang Brothers, Mary Johnson Rockers, and more), the CD features twelve original tracks on self-reflection, lessons learned, and the path forward. 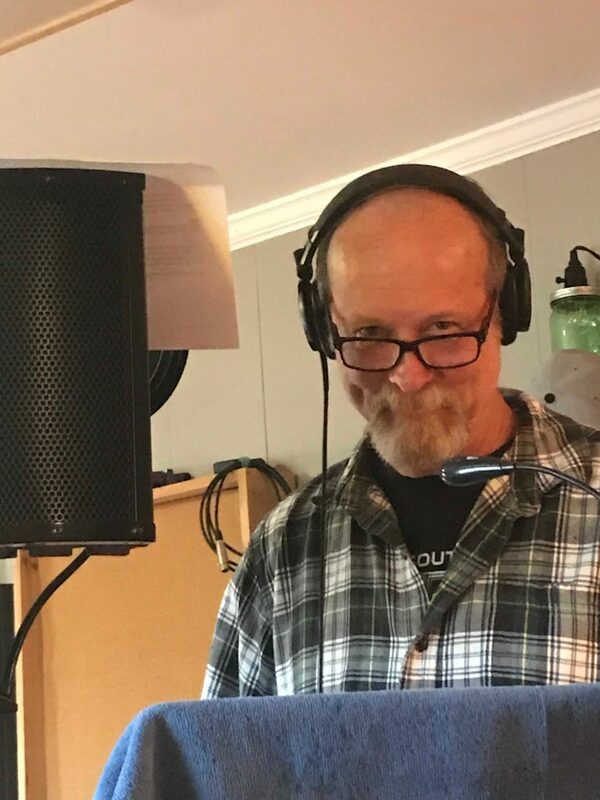 Along with Shain and Ventre, joining Taylor will be Ed Butler (drums), Lynn Blakey (of Tres Chicas; vocals), and Tim Stambaugh (banjo), all highly-respected and accomplished musicians who contributed to the tracks. Read the full press release. Care to help spread the word? Download and print this 8 1/2″ x 11″ poster and tack it up on your community bulletin board or local telephone pole! Debut CD ‘Awake Again’ available soon! Well, this is it – the cover of my CD, which will be available very soon in all the usual ways: physical CD (with beautiful design by Mark Trinkaus, Pentad Design), CD Baby, etc. These 12 songs reflect over three years of my songwriting efforts. The CD was produced by Jon Shain, engineered by FJ Ventre, and mastered by Jeff Carroll. Many local and gifted musicians contributed. I am very proud!